Just two weeks ago I spent a day at ABC's Studios taking in a ton of entertainment information. It was so fun meeting with the creator of black-ish and getting to know more about the kids on the show. 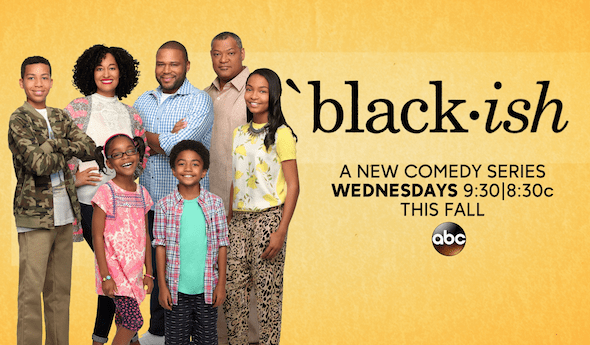 If you haven't seen black-ish yet, it's a fantastic comedy that airs Wednesday nights on ABC. I highly recommend it! Just before those interviews, our group of bloggers had another great experience; we visited the set of black-ish and got an inside look at where most of the show is filmed! Maxine Shepard, the Production Designer for black-ish, gave us the tour, shared lots of details and answered questions about what we were seeing. Let me tell you, the black-ish set blew me away! This was the second set I've had the chance to visit (I went to the Mistresses set last summer) but this one, actually a permanent set on the ABC lot was an entirely different experience. 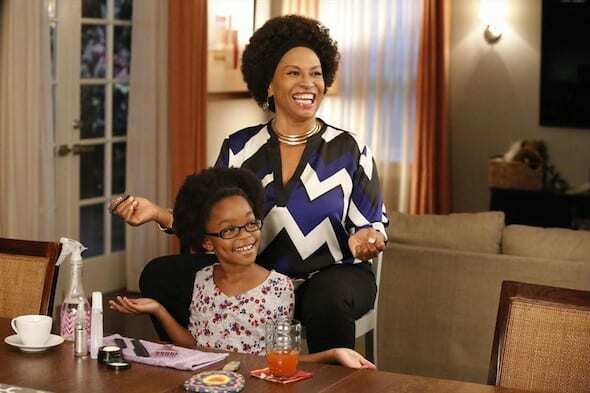 If you've seen black-ish, you know the family on the show lives in a nice home. The set for that home is literally just as big as a real home, and it's even nicer in person than what you see on the show! It's kind of funny to be walking around a fake family room and find a picture of Laurence Fishburn on the mantle! 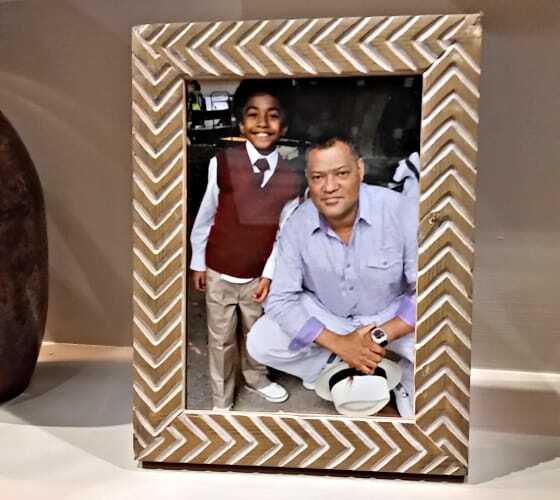 There were so many things to see on the set of black-ish, I know I missed some details as I made my way through the house. But what I did take in impressed me over and over again! 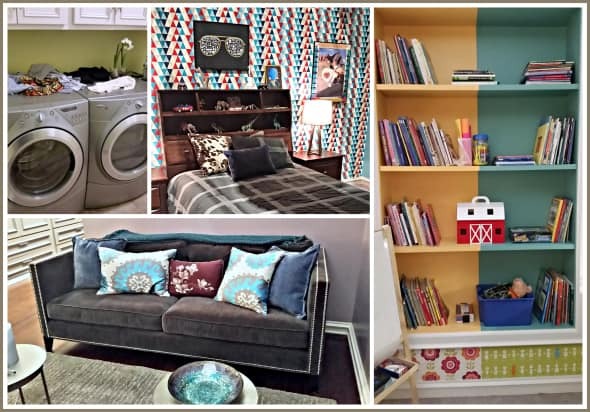 I loved seeing the clothes scattered in the laundry room and the haphazard ways the books and toys were arranged on the bookshelf in the kids' room. One detail that I loved learning about was where everything on the set comes from. I thought there would be tons of custom-made items and special orders to outfit each room. Nope! They actually need furniture, accessories and props right away, so there's no time for any of that. 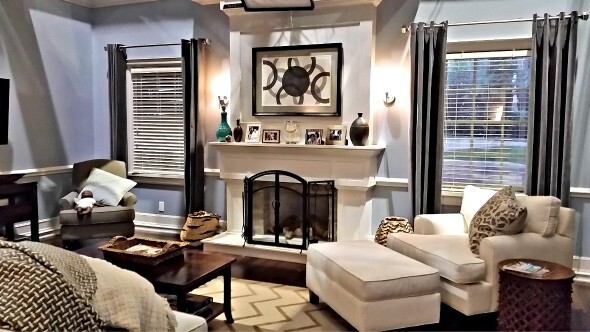 Almost everything in the house comes from stores that most of us shop at for furniture. Ikea, Target, Crate & Barrel and West Elm were a few of the stores she named. The fun thing about taking a close look at a set of a contemporary family sitcom was the familiarity. I could relate to the house. It felt warm and comfortable. It was very tidy, but it also seemed lived-in and inviting. It was sort of like taking a tour of a universal dream house! AIRS WEDNESDAY, NOVEMBER 19 (9:31-10:00 p.m., ET) on the ABC Television Network. Disclosure: Disney and ABC flew me out to ABC studios to participate in this set visit and interview. All opinions are my own.